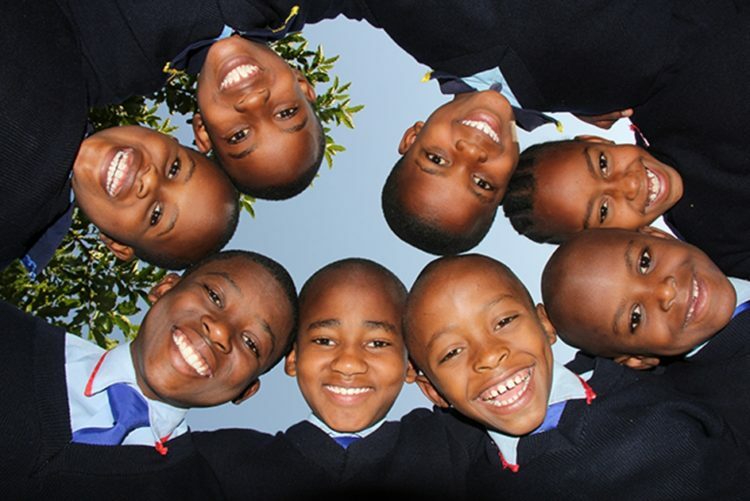 What inspires me: The smiling faces of our students every day they’re in school. Best motto: “This too shall pass” – it’s my favourite quote and it has got me through a lot of very tough times. Gemma Sisia sat at a Tanzanian school graduation ceremony two years ago watching 61 students graduate from their final year of high school. As they strode across the stage to receive their graduation certificates, Gemma beamed at the great smiles flashing across their young faces and delighted in the sight of their eyes dancing with dreams for the future. She couldn’t help but think back to when she’d first met these now promising young adults 12 years ago, when they were scrawny youngsters who signed up to be among the first students at The School of St Jude. 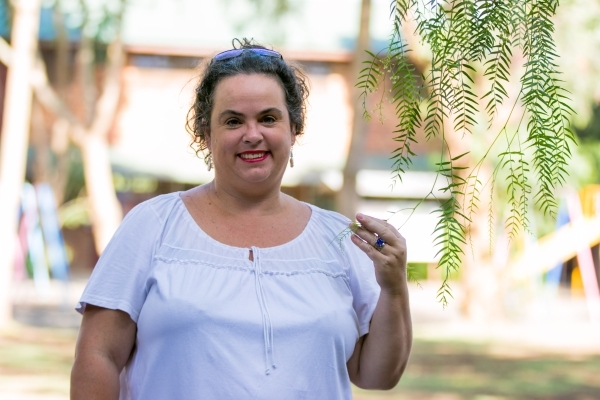 Gemma had met the graduating class members when they were bright, but poverty-stricken children, with little hope of completing primary school, let alone high school or university. Despite their brilliance, these kids were condemned to continue the poverty cycle into which they’d been born. That is, until they met Gemma – an adventurous, determined and compassionate Aussie awash with dreams of changing the world. 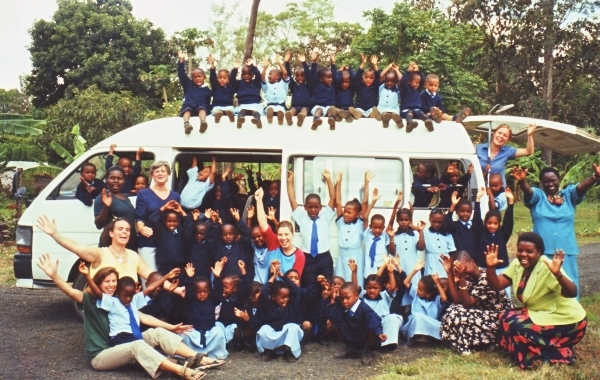 Gemma had come to Africa as a 24-year-old school teacher, brimming with dreams of helping the less fortunate. She signed up to volunteer at a private girls’ school in Uganda. While she relished the experience, she was frustrated that more students couldn’t access quality schooling. This frustration, combined with what she now regards as the blissful ignorance and optimism of youth, resulted in this young Australian woman determining to do something about it. She would see more African kids offered quality schooling. How? She’d start her own school. How hard could it be? Several years later, Gemma stood on a patch of dirt her then Tanzanian boyfriend’s father had gifted her. She gazed at the overgrown paddock around her, visions of a future school swimming in her mind. Armed with youthful enthusiasm and helped by a team of volunteers from Rotary clubs home in Australia, Gemma set to work erecting the first classroom, despite never before having built more than a guinea pig cage. She had married the Tanzanian boyfriend who’d captured her heart, Richard Sisia, and they lived together in a tent on the school site. It wasn’t long before Gemma was pregnant with their first child. The next year still more children applied for a School of St Jude scholarship. The following year still more. Parents and potential students began swamping the school gates on registration days to have their children enrolled for a chance to alter the course of their futures. Gemma had to enforce a strict admission policy, providing schooling and boarding to those who’d proven their poverty, as well as their potential for academic success. And with every new kid, came new funding requirements. They’d need new classrooms, new teachers, new school buses. Gemma would rally her network back in Australia to raise funds, with Australian families signing up to pay for students’ schooling. Of course the growth didn’t come easily. Gemma had ongoing battles overseeing shoddy builders, with teachers who didn’t live up to her expectations, in raising the money to cover school buses and the ever-swelling numbers of students. She and Richard also had their own two boys to raise, and Richard also ran a safari company for tourists. By 2006, the first School of St Jude class had progressed through four years of schooling and was ready to sit the nationwide Year Four testing. Any student in Tanzania who fails this testing is denied a chance at continued schooling. For those who fail, there’s no chance of escaping the extreme rural poverty or garbage-ridden urban slums from which they’d come. This was crunch time for the School of St Jude. The entire grade passed. “When we found out you would have thought we’d won the lottery,” Gemma laughs. As that same class reached the end of their primary school years, Gemma and the School of St Jude board decided to extend the school to also offer high schooling. Then, as that same class finished high school two years ago, the board also agreed to fund their university placements. Today, more than 50 of that year group of 61 graduates are at university studying subjects ranging from aeronautical engineering to physics and medicine. 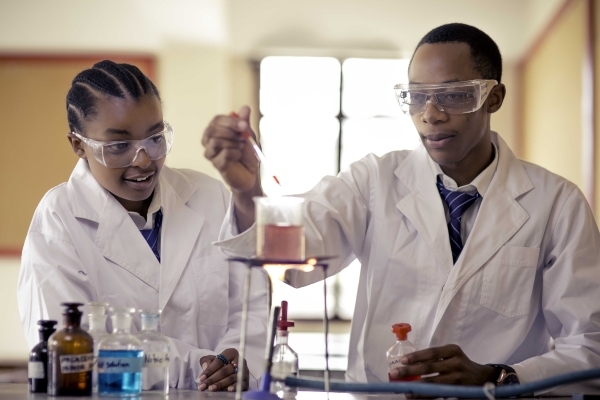 Gemma says Tanzania is in desperate need of science education – most schools deem the cost of teaching science too expensive so simply forego it favour of subjects that are cheaper to offer. This has resulted in situations like Tanzania having just 94 gynaecologists to serve a population of 21 million women. For Gemma, it will be the uni graduates who have a real chance of changing the course of Tanzania’s future. Most of that first pool of high school graduates took a gap year before beginning university to volunteer to teach at other schools. Gemma remembers watching one such student standing at the front of a class of around 70 students, a cracked blackboard behind him. The students, many of them taller than their new teacher, hung on his every word, rapt at the chance to learn from someone new and educated. Gemma couldn’t help but smile at the enthusiasm of both teacher and students. She says the graduates relished the chance to offer other children a chance at what they’d been gifted through St Jude’s and their Australian sponsors. And, despite the difficulties of teaching such big classes with limited resources, and just a week crash course in how to teach, not one of the volunteer teachers dropped out. In fact they asked if they could extend their volunteer teaching jobs for another three months. Now every graduating class at St Jude’s completes a year’s community service before attending university. While there are so many individual stories of students plucked from the most extreme poverty to get a real chance at life, the story of Winrose is the first that springs to Gemma’s mind. 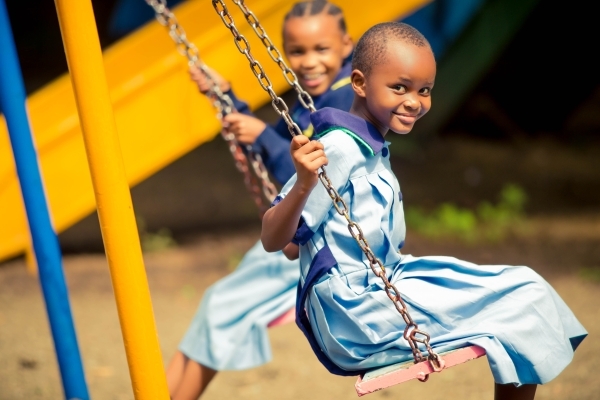 Winrose’s mum had died when she was 10, but she’d continued to excel at primary school – a near impossible feat in Tanzania. How had she managed to continue her schooling at all, let alone do well, Gemma pondered? Gemma came to learn that, before Winrose’s mother had died, she’d taught Winrose how to sew. Making the most of this knowledge, and desperate to learn, Winrose would approach her school teachers and offer to sew their clothes in exchange for textbooks and tutoring. After being accepted into the School of St Jude and excelling throughout her schooling, Winrose accompanied Gemma on a trip to Australia where she met the Australian couple who’d funded her education. “It was so emotional,” Gemma says. “It always is when a sponsor meets their students.” Without the sponsors’ help, the bright young woman before them would have been sentenced to a life of poverty and domestic drudgery. Instead, Winrose is now working for the School of St Jude in a marketing and sponsorship role. Without the sponsors’ help, the bright young woman before them would have been sentenced to a life of poverty and domestic drudgery. Winrose is one of about 2000 kids who’ve now attended St Jude’s, which currently houses about 1400 boarders, provides 1.2 million meals a year, and has 600 computers, 26 school buses and a staff of 300. The school also welcomes visitors to stay in onsite accommodation where they can visit the school and see its workings firsthand. The students are incredibly appreciative of their sponsors.